We want to make managing your jobs and time on the go as easy as possible, from wherever you are. Last year we released WorkflowMax for iOS, including two subsequent updates (manage your time retrospectively and sort and filter jobs) based on your feedback. We’re excited to announce that the first version of the eagerly anticipated WorkflowMax Android app is now here! If you spend a lot of your time out and about during the day, checking in on clients, visiting job sites, completing tasks and recording time as you go, sometimes signing into the WorkflowMax web app just isn’t possible. That’s where WorkflowMax for Android comes in. 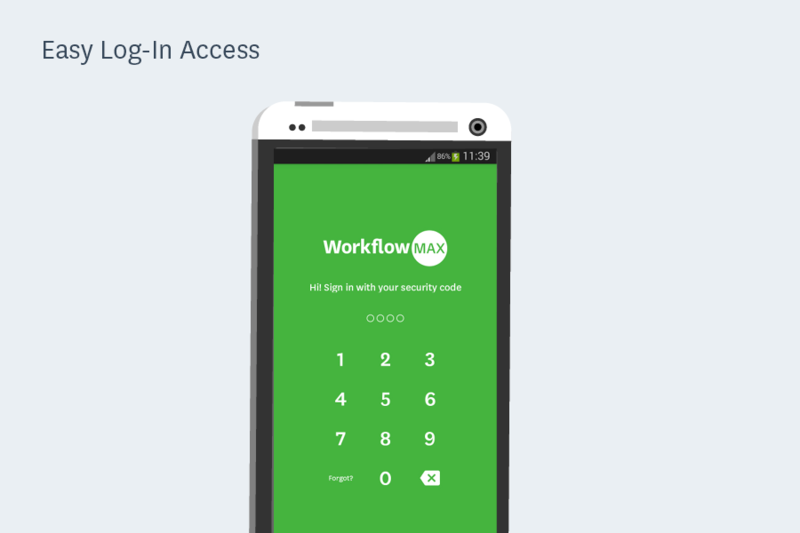 1 – Quickly access your WorkflowMax account using a PIN or fingerprint ID. 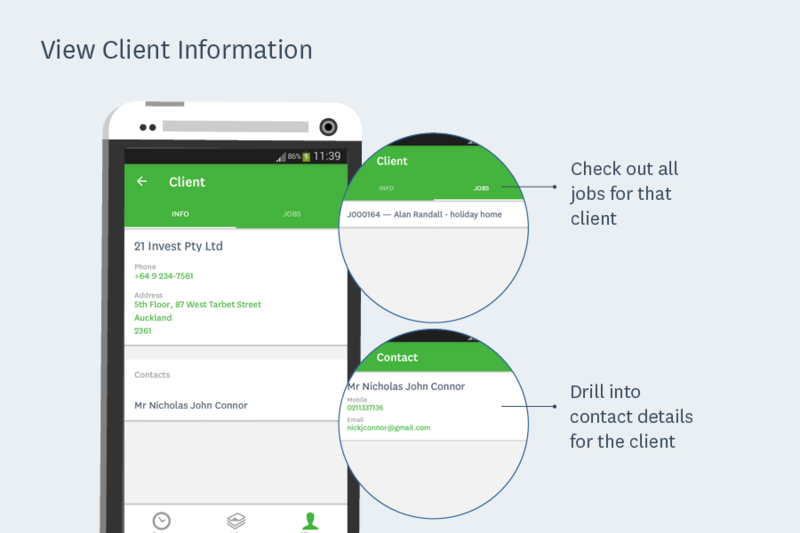 2 – View client details at a glance or search for contacts easily. Make contact directly from the app if you need to; tapping on the email address shown opens up the email client screen, while tapping on the phone number opens the phone app for making a call using the number shown. Toggle to the ‘Jobs’ tab within the client screen to check out all jobs related to the client. 3 – See job information instantly. From an overview of all your jobs, drill down into detail. Know the status of jobs and view any assigned staff. Got attachments? 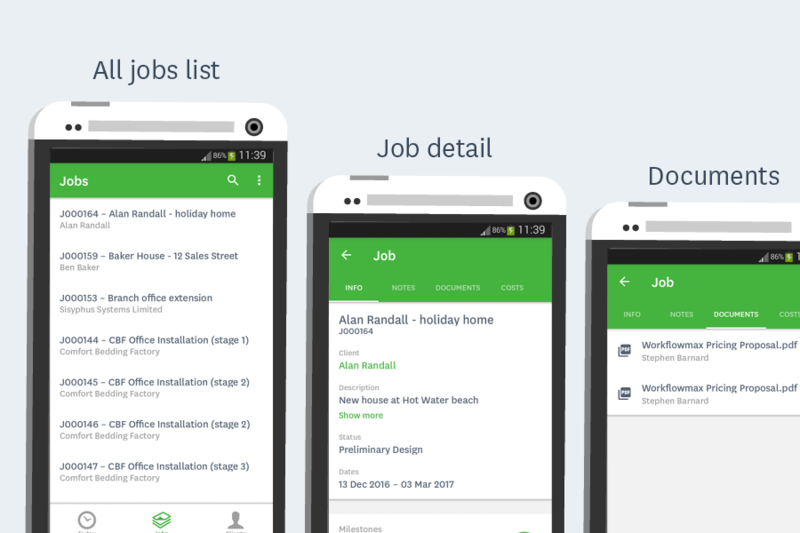 You can see relevant job documents too, all from within the app. 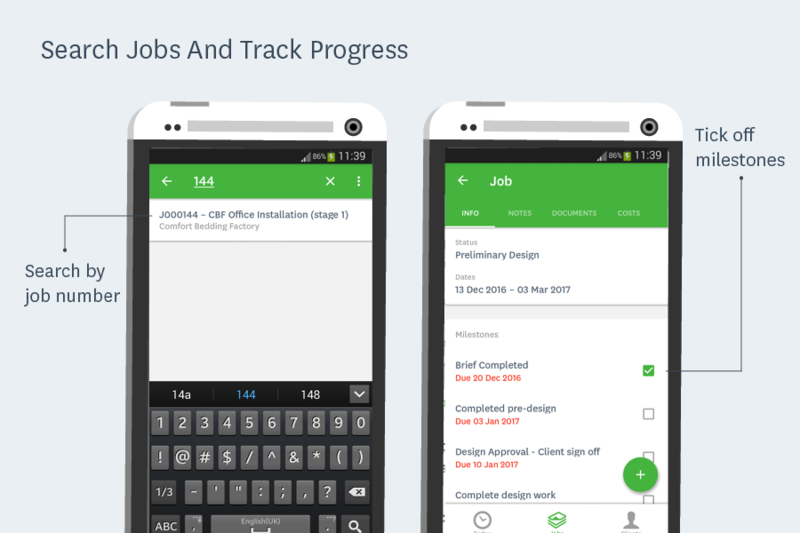 Search jobs by name or number and keep tabs on progress with milestones. Easily tick these off as you complete them. View or add notes, tasks, to-dos and costs associated with your jobs. 4 – Easily record time on the go. Manually enter time duration or start and finish time if you already know it (note that the time entry format shown in the app will be dependent on your settings in the WorkflowMax web app!) or use the stopwatch and quick time entry to record time as you work. 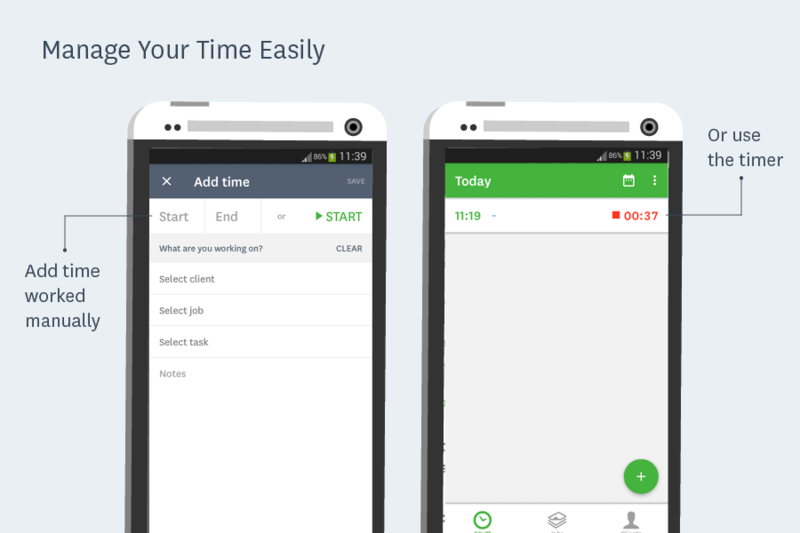 Get a daily or weekly time view. You can save time as a draft entry, and leave a note for later timesheet completion too! 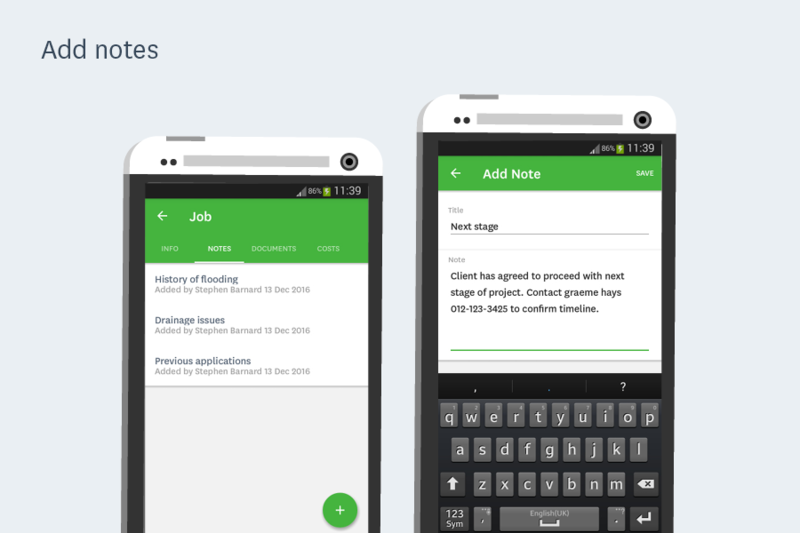 This is the first release of the WorkflowMax for Android and we have more exciting updates in the pipeline. As always, we value your feedback in helping us prioritise further development, so please keep the comments coming and sign up to the blog for updates about the next release! The iOS app looks like it has a lot more functionality than the Android version, why is this? We launched the iOS app in early 2016 and it has had a more time to accumulate feedback from customers and proceed to the next stages of development. We have a similar roadmap for Android and we’re confident it will catch up. However, we don’t plan to stop development on iOS in the meantime! What features can we expect next? Where can we comment on features we’d like to see? Just add your thoughts in the comments section below! You need to be running Android 4.1+ on your device.